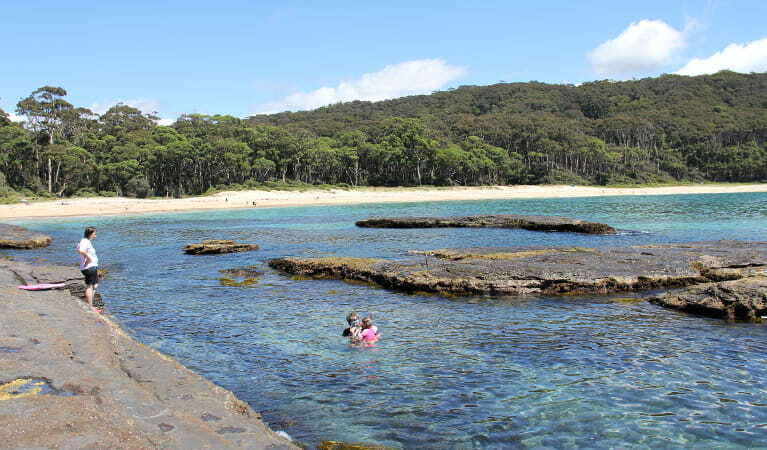 Rock Platform walk near Depot Beach is a short walk to fascinating rockpools offering excellent birdwatching and scenic ocean views of the South Coast, just north of Batemans Bay. 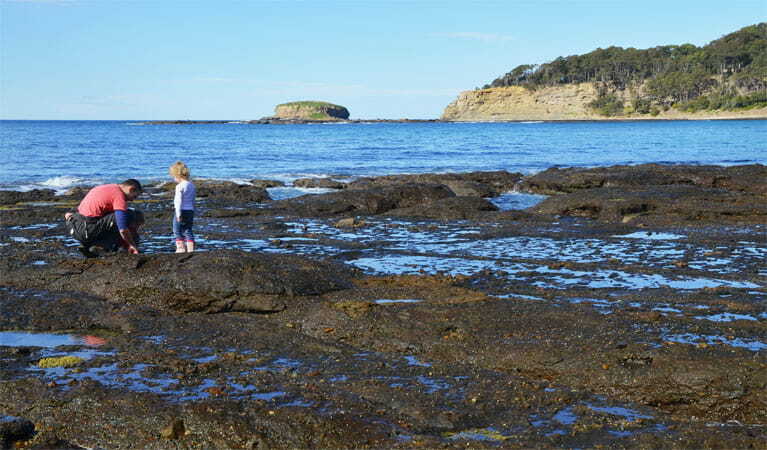 The rock platforms near Depot Beach, form part of Batemans Marine Park, and offer a rare opportunity to observe the fascinating marine worlds of the intertidal zone. 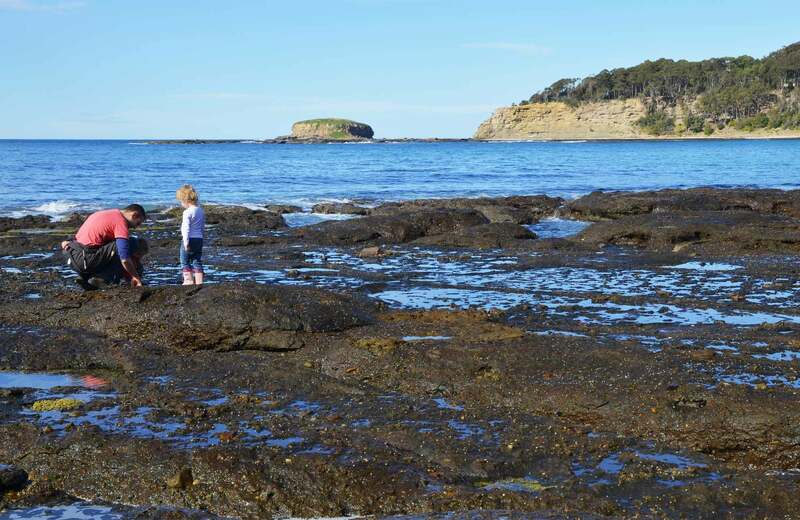 Only accessible at low tide, it’s a perfect place for the kids to discover the wonders of nature. Following the short walk, stop to take in the unending views of unspoilt beaches and rocky headlands. 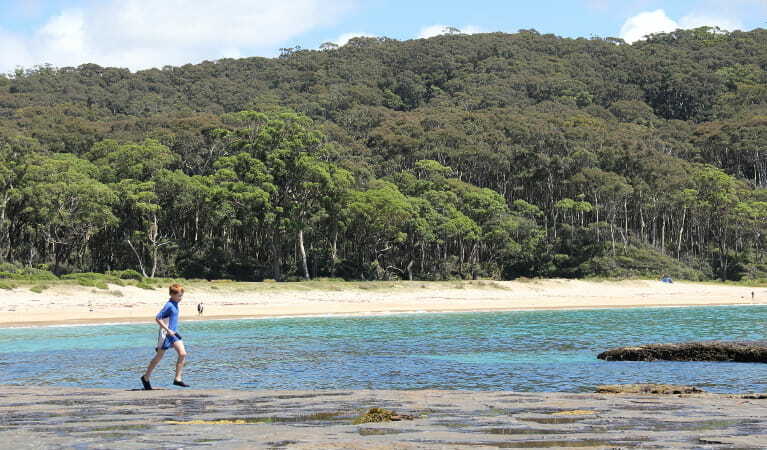 Here the spotted gum forests reach right down to the ocean. The nearby Grasshopper Island is a shorebird rookery and makes for excellent birdwatching. Sooty oyster catchers, white-faced storm petrels and even little penguins can be seen here. Discover the seething mass of life within the rockpools, such as sea urchins, crabs and tiny fish. With one eye in the watery worlds and another on the incoming tide, head back for a hearty barbecue at Depot Beach picnic area.